This week has been adventurous in the world of Hip Hop. Many of us woke up Monday morning enthusiastically talking about the larger than life hologram of the late 2Pac Shakur shown in the middle of a performance of Dr Dre and Snoop Dog at the Coachella Music Festival. It was an incredible feat, and while it was not the first time or specifically unique that a hologram was used, Hip Hop did what it always does… it flipped the script and opened up doors along with people’s minds as to how such a tool could be used from here on out. It should also be noted that Dr Dre spent close to a 500k on the effect, sought permission and received the blessings from 2Pac’s notoriously protective mother Afeni to do the hologram. She thought it was amazing. I reached out to Pac’s brother Mopreme, he too thought it was great. 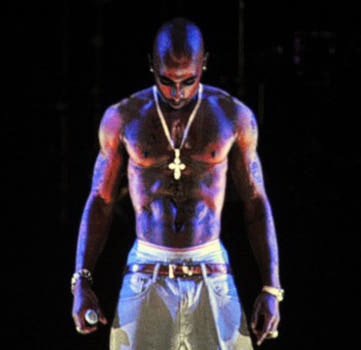 The big question on everyone’s mind is will the 2Pac hologram go on tour? From what we’re hearing that’s about 90% supposed to happen.. Why wouldn’t that happen considering how much money was spent and the excitement it generated? The bigger question is will this ‘special presentation’ get quickly played out? I don’t think Dr Dre or Afeni will allow that to happen to 2Pac, but there are many music industry executive who see dollars signs before artistic creativity who are known for running things into the ground who might kill this potential golden goose of a technology before it gets off the ground. Some thought the hologram while fascinating was creepy. The thought of bringing 2Pac back to life and having it look so realistic messed with more than few people’s minds. Others expressed concern that holograms will soon replace live musicians.. Time will tell..
One thing that should be noted, bringing people back to life to ‘perform’ at concerts is not unique. We saw singer Natalie Cole do this 20 years ago in 1992 during the Grammys. Cole did a duet with her deceased father the great Nat King Cole of his signature song ‘Unforgettable‘ People loved it..At that time there was talk of doing more duets where live performers were magically matched with those who were deceased. We saw numerous folks work this formula including P-Diddy who during his concerts would often show his friend the late Notorious BIG on a big screen doing songs like ‘Warning‘. Over the years we’ve seen the late Big Pun come to life at concerts. Overshadowed by 2Pac’s hologram was the late Nate Dogg who was plastered on the screen performing with Dre and Snoop. 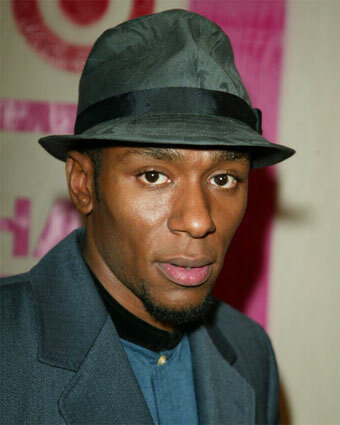 With respect to the hologram, not to take anything away from Dre and Snoop’s gallant efforts, but Mos Def beat them to the punch when he appeared before a number of inner city youth last year in Oakland along w/ African-American astronaut Leland Melvin. It was a part of NASA’s ISIS program and the goal was to get kids interested in science. There was a lot of excitement and planning that went into this hologram presentation. The audience was awestruck and inspired. All in all, hats off to Dre, Snoop and the team at Digital Domain Media Group and AV Concepts that put together the hologram effect. DDMG are insistent that people understand that it’s not a true hologram which is 3 dimensional but a 2 D rendering..It’s based on a 19th century illusion trick commonly known as Pepper’s Ghost . Many reference performances by Madonna, De La Soul and the Gorillaz in 2006 as examples of where it was used… In any case it was innovative and we can only hope that spirit of being creative grows.. From what we understand Dr Dre has big visions for the hologram technology.. who knows, maybe that long awaited Detox album will come as a hologram. I think this is VERY cutting edge…Imagine that you have a feature on your joint but the other artist can’t be there with you to perform their part…enter the hologram! The new can of worms will be the record labels trying to extract performance royalties for their hologramed artist and of course, that will become a new clause in the 360 deals of today. Unfortunately, with any good technology, its used to do greedy things. Right now we know we’re looking at holograms; soon we wont know. Photoshop bears this out. Speaking from a woman’s perspective, photoshop retouching of “models” has destroyed women’s self esteem. Women look at these fake images and imagine them to be reality, and even when they KNOW its not reality, they still aspire to be like and judge themselves by these false respresentations. But watching the Tupac Hologram was surreal and very exciting, not necessarily in a good way. I have a little headache right now from my surge of excitment and dread. I think the hologram shows how mind fucked people are. TuPac got his testicle blown off, was raped in prison and eventually shot. Everything he associated with are archetype examples of things you should run away from….including this hologram nonsense. Unless you’re on the engineering side of things getting paid from it. In that case you can just laugh at these people. Hologram acts are the death of live stage performance. Year 2022: Performing live at your local nightclub Tupac with Jimi Hendrix on guitar.